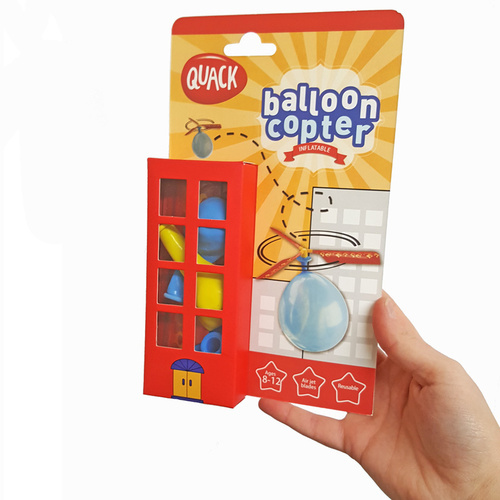 Balloon Copter | It's a balloon powered helicopter! It's a balloon powered helicopter! 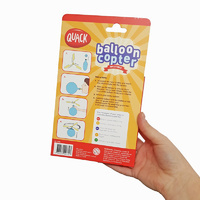 To make your balloon copter fly! With re-usable, light weight air jet blades. 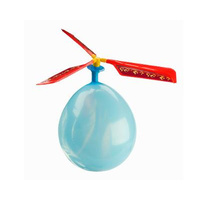 This unique helicopter is powered by nothing more than air being released from a balloon, causing the rotor blades to spin! Your kit contains 3 specially designed blades with awesome flame decals, a plastic connector to maximise flight, and 2 balloons with instructions. Simply attach the rotor blades to a balloon and off it flies, whistling as it goes!